The attainment of a seventh generation model in today's global automotive market is a significant milestone. There aren't many surviving members in the current '7-G Club'; VW Golf, Toyota Corolla, Chevrolet Corvette, Honda Civic and the Ford Fiesta are a few well-known names still in production. Recently, that elite club opened its doors to its newest member - Vauxhall's all-new Astra hatchback…and it couldn't be more British if it tried. It was designed by Brit Mark Adams, is built at the company's Ellesmere Port plant in Cheshire and was fine-tuned over many thousands of UK miles several months prior to release. At first glance, the new Astra may appear familiar, but is completely new from the ground up. Beneath the visually sharper styling is GM's all-new D2UX global platform – the result of over £190 million investment and which contributes to the car being around 200kg lighter than the outgoing model. To put that into context, imagine that heavyweight boxers Mike Fury and Anthony Joshua both climb out of your Mk6 Astra. You can almost hear the air rushing into the wheel arches. Combine that significant weight reduction with slippery aerodynamics and a new range of efficient and lightweight engines and you begin to understand the huge amount of effort Vauxhall designers and engineers have put into this significantly important car, little of which goes unnoticed. 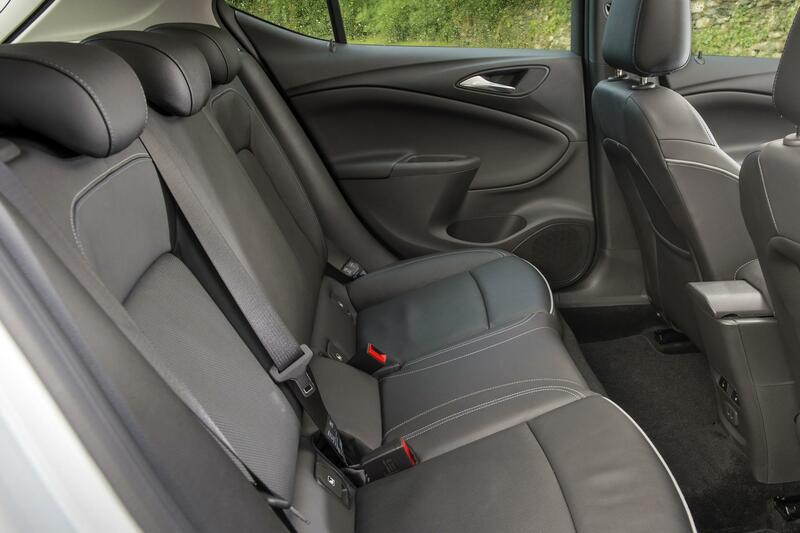 The new Astra is actually smaller in external dimensions that the outgoing car, yet offers more interior space. Rather than a complete overhaul of exterior design features - and tamper with an already winning package - Vauxhall sharpened the look of the previous Astra with a few subtle extras that give a higher quality aesthetic. The new model is 5cm shorter and 2.6cm lower making it more aerodynamic and delivering improved road manners. The new lines afford the car more gravitas and make it appear wider and more hunkered down on the road. Inside, there's more space for passengers, allowing four six-foot adults to sit comfortably, while there's also been an overdue revamp of the dashboard. It is a significant advance over the previous model in terms of ergonomics and quality of materials. The interior takes many styling cues from the recently revised Corsa and Adam and deploys higher quality plastics in critical touch zones. On the Sri VX-Line Nav as tested, there is a sleek new eight-inch touchscreen panel, which links Apple and Android devices to enable users to control navigational functions, make calls and use a whole range of apps including Spotify, Skype and WhatsApp. It also comes with Vauxhall's excellent OnStar system. 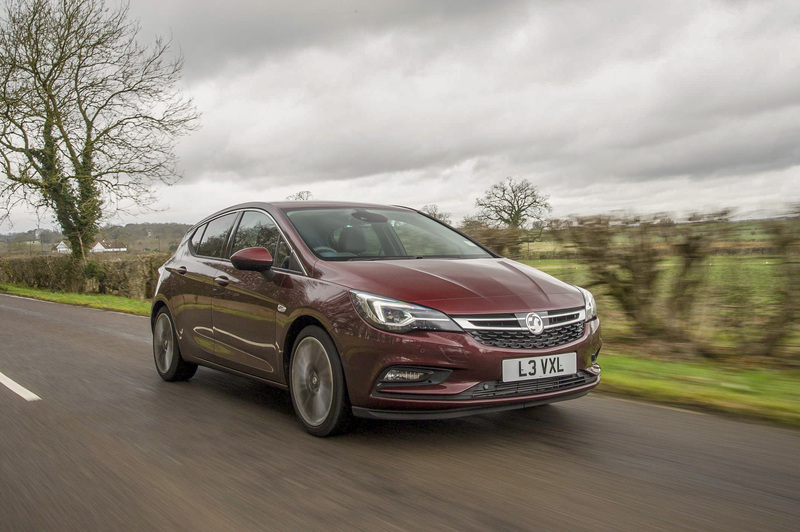 Using telematics, OnStar is essentially a customer support and monitoring system that has been around a while in the USA, but made its UK debut in the new Astra. 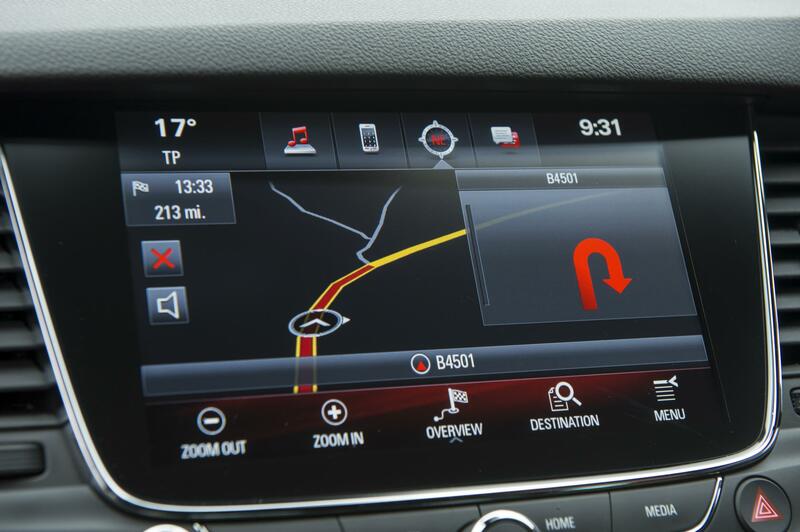 It offers a range of advantages including the ability to speak to an actual OnStar advisor 24/7 for assistance such as directions to the nearest Café Nero, which may be sent directly to the car's navigation system for you. 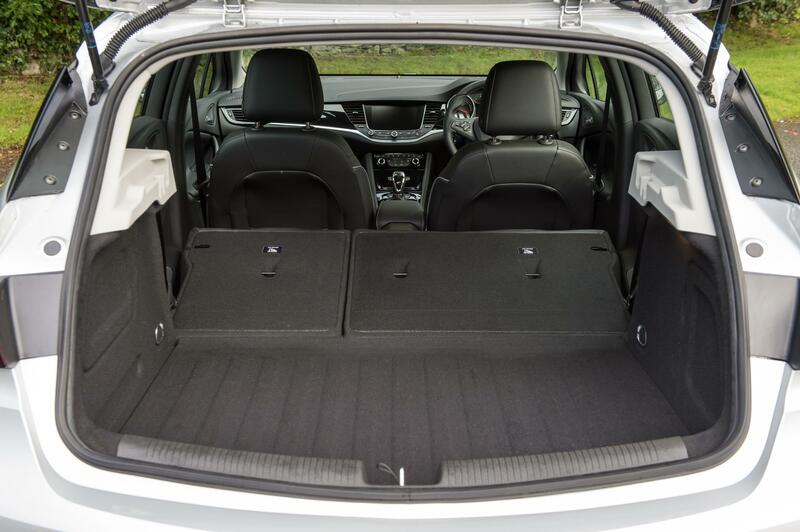 The car has good boot space, with 351-litres standard capacity that can be increased through some clever rear-seat adjustments. The new Astra is available in no less than nine trim grades; Design, Tech Line Nav, SRi, SE, SRi Nav, Elite Nav, SRi VX-Line, SRi VX-Line Nav (as tested) and Ultimate. Standard kit on the new Astra is very impressive for the class and includes dual front airbags, front seat side-impact bags and full curtain bags, ESP and ABS, hill start assist, 16-inch alloys, cruise control and speed limiter, tyre pressure monitoring system, air conditioning, electrically adjustable and heated rear view mirrors, electric windows, auto lights and wipers, LED DRLs, rear spoiler, steering wheel mounted audio controls and IntelliLink infotainment system via a 7-inch colour touch-screen, DAB radio, USB connection with iPod control, Bluetooth phone/audio, Apple CarPlay and Android Auto. Vauxhall sent me the four-pot 1.4-litre turbo petrol with its 148hp/230Nm of output. It's a cracker of an engine and currently leads the petrol-driven Astra range. Response from the little 1.4 turbo is impressive. The 148hp engine delivers its 230Nm of torque from just 2,000 rpm and claims 0-62mph in 8.4 seconds – quicker than the previous model (there's that weight loss benefit again). That also helps with the 138 g/km and 41.1 official combined mpg claims. To help keep the new Astra safely on the black stuff, underneath the front end are MacPherson struts and at the rear a neoteric torsion-beam rear axle with a clever Watt's link arrangement. 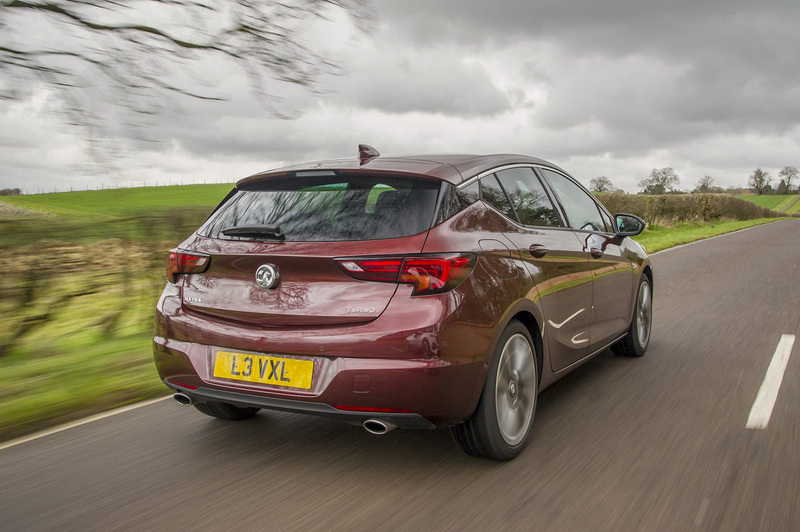 Vauxhall chose not to go with an independent multi-link rear set-up, claiming that its chosen route is inherently better suited for the overall ride and handling equation. The Astra and I travelled 349 mixed miles during our week together and it returned a credible 39.2 mpg at an average speed 33.2 mph. The 200kg weight loss re-awakens the Astra's enthusiasm for meandering backroads and the car excels through tight twisty bits. The ride and handling are very well balanced with strong grip levels. The light but precise electric steering isn't blessed with much feel and the ride has a discernible edge to it. But it's communicative rather than unforgiving and all the more enjoyable for it. 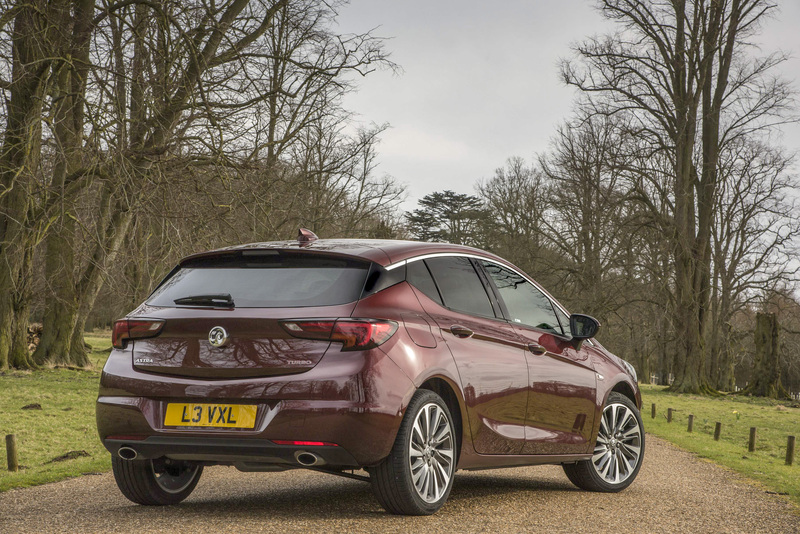 The new Astra is a credible front runner in the family compact hatchback class and is the brightest star in Vauxhall's increasingly stellar line-up. It looks sharp, drives better than any of its predecessors and the cabin execution is top notch. 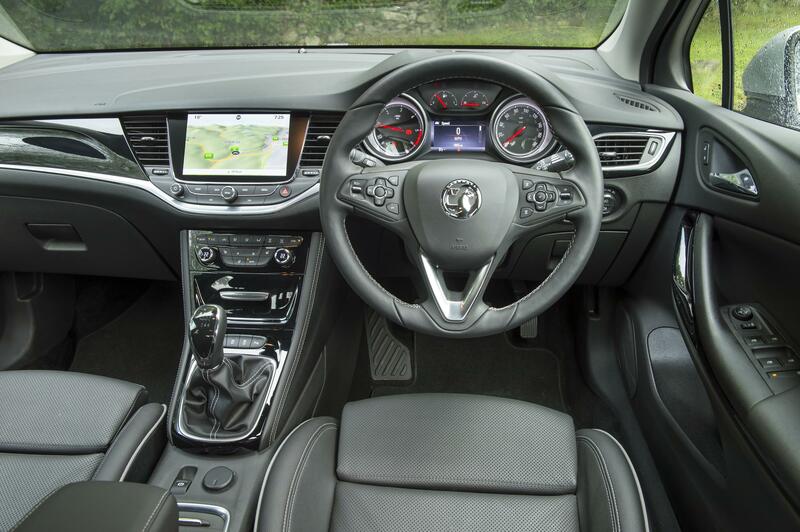 There's plenty of interior space, tangibly improved quality, hi-tech equipment and style. With a range of frugal and efficient engines and a five-star Euro-NCAP safety rating stowed in its arsenal, it would be quite unreasonable to expect more for your money. ➤ Check out our special offers on the current Vauxhall Astra range here, then call our award-winning Customer Service Team on 0800 043 2050.